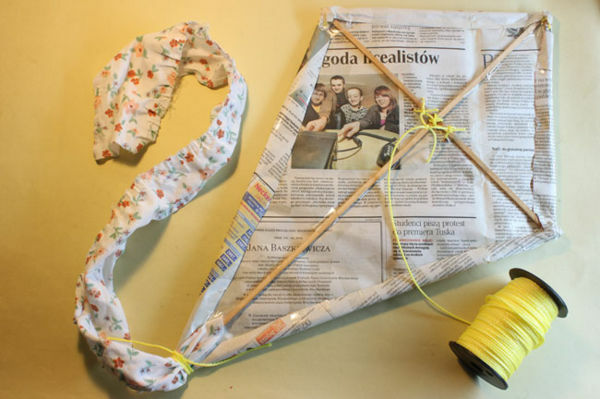 A diamond-shaped kite is easy to make and will fly in even the lowest wind speeds. 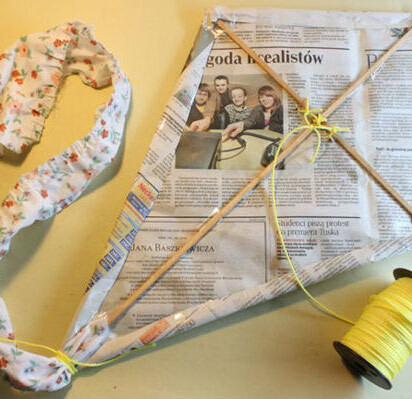 These instructions will show you how to make a simple diamond shaped kite from paper. There are more complex designs available, but this easy-to-build model will still bring you hours of kite-flying fun! Make sure that you are familiar with the terms typically used to describe a kite’s structure. See the Tips section below if you want to brush up on your kite vocabulary. 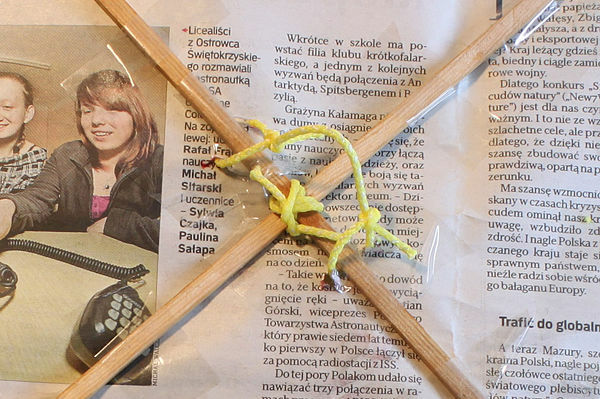 Take a big piece of lightweight drawing paper or newspaper and draw a perfect square on it. Cut out the square using scissors or an art knife. Open the paper and place your wooden dowel vertically on the fold line to make the spine. For this, you can use two straight sticks made of wood or bamboo, or wooden doweling. If your sticks are of different lengths, use the longer one as the spine (vertically) and the shorter one(s) as the spar (horizontally). Place another dowel horizontally across the first dowel above the centre of the paper to make the spar, forming 90-degree angles with the spine. Make sure that the spine runs exactly through the centre of the spar, so that it’s equal widths on both sides of the spine. 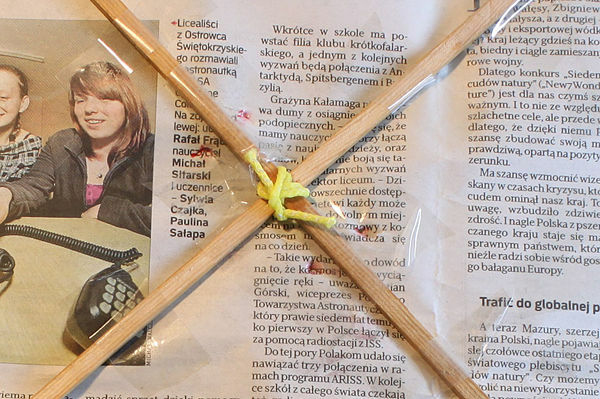 Secure the two dowels together by reinforcing the intersecting area with string and tape. You may also want to use a glue gun or superglue to ensure that the frame is securely attached. With thanks to Pure Magic Dublin and wikiHow. Please edit this article and find author credits at the original wikiHow article on How to make a Diamond Kite. Content on wikiHow can be shared under a Creative Commons License.